Lorraine – a historical region lying in the north eastern of France. Lorraine, a historical region lying in the north-eastern part of France, is a part of the Alsace-Champagne-Ardenne-Lorraine administrative region. Although this small region is not much renowned for its wines, the visitors of Lorraine would get some of the great wines to taste. This region, with Germany, Belgium, and Luxembourg as its borders, once flourished as an important viticultural region. Yes, this region has been producing wines right from the ancient times itself! This region has been a serious competition to the wines of Southern France in the past. This region, which is located slightly west of Alsace, is centred on Metz and Nancy. Prior to the enforcement of wine appellation laws in France, a majority of wine grapes for the Champagne wine production came from here. After the year 1871, this region became a part of the German Empire. It was until the year 1918 that the region belonged to the German Empire after which the vine cultivators of Lorraine became the suppliers to the Sekt industry. The vineyards of Lorraine were much destroyed by the wars. 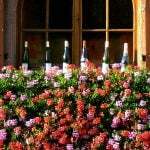 At present, the region is found to be producing wines in three levels, the details of which are given below. 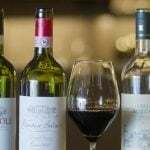 Although the wines are being produced in three levels, it has been found that there is an obvious relationship between all of them in terms of grape varieties. All the areas are cultivating the same grape varieties right from the traditional times. This is an AOC wine region of Lorraine which is covering almost 110 hectares of vineyards in an area near to the Toul region. The annual wine production in this region is around 4,500 hectolitres equal to 600,000 bottles of wine. This region got promoted to AOC from VDQS in the year 2003. We can observe that the Côte de Toul is available in all the three colours with the majority of them being produced in a Vin Gris style using Gamay and Pinot Noir grape varieties. White wines are made from Aubin blanc and Auxerrois blanc. Red wines are made from Pinot Noir only. Rosé wines (Vin Gris) are made using Gamay and Pinot Noir as major varieties. It is to be noted that the Vin Gris wines must be made using at least two grape varieties with the major grape variety not exceeding 85%. Also, all the wines must contain at least 10% of Pinot. The percentage of accessory grapes must not exceed 15%. This is covering the vineyards of the Meuse Valley and is producing up to 1500 hectolitres of wines in around 35 hectares of vineyards. This region is allowed to cultivate the Chardonnay and Aligoté grape varieties. The vineyards of Moselle are located in the Seille Valley on the vales of Metz and Sierck and are covering around 48 hectares. These vineyards are producing around 2200 hectolitres of wine annually. The most common grape varieties here are Auxerrois Blanc and Müller-Thurgau along with the other allowed varieties mentioned above.